If your location is not listed below, please contact Innovative Power Products directly for sales assistance and customer support. 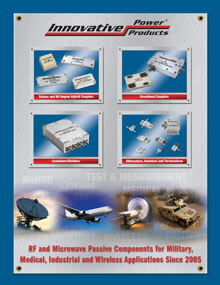 Many of our RF Resistors, Terminations and 90 degree Hybrid Drop-In Couplers are RoHS compliant. Our Quality Management System has been successfully registered by UL for ISO 9001:2015. Our 16-page Innovative Power Products catalog is available for download. © 2019 Innovative Power Products.